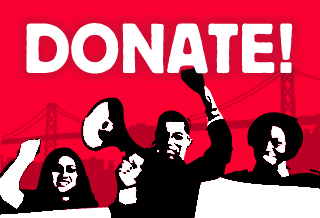 Over the course of just five days, 500 supporters came forward to support a Bay Area that puts people first. 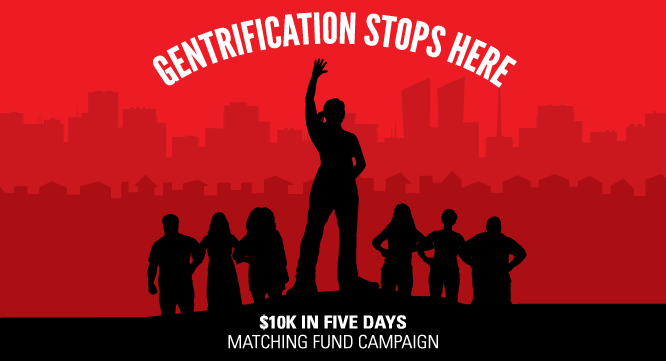 Thanks to your collective generosity, we’ve raised $40,595, exceeding our goal by $30,000+. A BIG thank you to each and every one of you. ¥ Get an Oakland Healthy Homes policy passed by Oakland City Council that will protect tenants by November. This campaign has included about 40 hard working people. We are doing something that many people didn’t believe we could do. We raised over $40,000 five days! 27 staff, a team of volunteers (including Board members) – ran personal pages asking friends and family for their support. And it came! You can STILL take part in the $10K in 5 Days celebration and donate to the organization at by dancing with us at Salsa Sunday at El Rio in SF, August 24th. Please show up 3-4pm if you can (CJJC is promised funds at the door from 3pm to 4pm) and invite your friends. Click here for the Facebook link. And again… thank you merci ¡gracias!